GRETA VAN SUSTEREN: "On The Record" - (12/12/2007) re: Stacy Peterson was Drew Peterson's ALIBI when Kathleen died. MARK FUHRMAN, FORMER LAPD HOMICIDE DETECTIVE: "Well, what's interesting — I have a source that actually told me that when Stacy actually confided in the pastor [Neil Schori], she made a statement that she woke up in the middle of the night, she could not find Drew. And this was the night before Kathleen is found in the bathtub. And she can't find him in the house, and she starts calling incessantly, numerous times, to try to get a hold of him. He never answers. Now, that day that they actually talk to Stacy and Drew and the neighbors, when they find Kathleen, they get information that is an alibi, and that alibi is something that Stacy provides for Drew." Now, the Illinois State Police agents that are [were ?] working on this, the detectives, they supposedly told the coroner's inquest jury that they had phone records, but they were not — they had not yet received them as of May 1 . 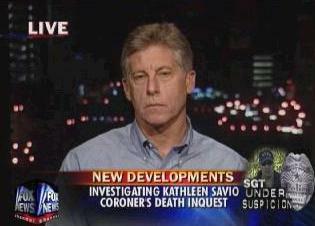 And of course, we know Kathleen Savio died March 1 . And in that — in those documents — in that testimony and in those documents, it states that, Well, we don't believe that those phone records will give us any other outcome. Well, I started doing some research. Well, first, we know Drew Peterson and Stacy had Nextel. They keep those records for five years, luckily. But I cannot find anything at the county courthouse. I checked with them. There was no search warrants served in the name of Kathy Savio, Drew Peterson or Stacy Peterson in the year 2004. So I went a little farther, and I found out that not only is it easily received to get a telephonic search warrant,. it takes less than two weeks, the total — writing the search warrant, getting the search warrant and then filing the return of search warrant. I asked the young lady that was helping me at the county courthouse just exactly what would happen if the grand jury went back to the records in 2004, took those warrants and any evidence of them, and seized them and sealed them? She goes, They could do that. But then I said, Every one of those receives a number when they're registered, the return of search warrant. She says, Yes. Are there any members missing or out of sequence? She went from March 1 to November 2004. She goes, None are missing. We can make this conclusion absolutely. There was not one search warrant written. Now, what does that give us for a conclusion? The special agent either was told certain information that was false, he misled the jury in the coroner's inquest, or there was no intention of writing a search warrant, nor was there ever a search warrant written or any phone records ever checked. Now, what does this mean, Greta? Here's what it means. If they would have written a search warrant and discovered that Stacy had called Drew's phone three, four, five, six times the previous night — what's interesting about that is Kathleen was killed at least 24 hours prior because of rigor mortis was absent. That takes 24 to 36 hours to completely go through the body. If that was the case and she had already established an alibi for Drew, they could confront her with this evidence. She has two choices. She can go down in the investigation or she could tell the truth. If she had the truth, Drew's alibi goes south, the investigation is not an accident, it's a homicide, and Stacy'd still be with us. "I was at Penny Road Pub in South Barrington at an ILPWDA fundraiser" ILL CourtTv Forum posted by "rmucha", 11-27-2007 11:32 PM, Registered: Nov 2007, Location: Oak Brook, IL, Posts: 12, Thread titled, "Blue Barrel Suspect [m]", "Geraldo stays in business by selling comercial time to sponsors. I don't know if he made it up to get ratings, or if he was duped by a "source". In any event its not true. I was at Penny Road Pub in South Barrington at an ILPWDA [K-9] fundraiser. There were several other cops there, and I had a couple beers, but the Petersons were NOT there. I have never heard of or been to Leo's. I have never had a drink with Drew. I don't know about the extended family situation so I can't help you there. The only Peterson I know is Steve, Drew's son. And yes, he is in town and at work. Randy." Peterson ILL www.findstacypeterson.com forum posting by "rmucha" Newbie, Posts: 67, Thread titled, "Ch 7 Chuck Goudi about to sling mud at Steve Peterson", Reply #90 on: Today [12/06/2007] at 08:13:55 AM, Quote, "Because Geraldo said that me, Steve and Drew were all together drinking at a bar called Leo's the night Stacy went missing. I have never been to Leo's. I have never drank with Drew. 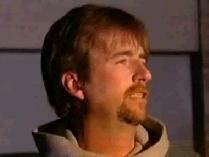 I was far away from Bolingbrook at a police K9 fundraiser and Steve was at a halloween party."